You can’t force a quality public space into being, and you certainly can’t buy your way to having one. Public spaces are sacred community assets, not artificial constructs. So, when Apple announced plans to re-brand its stores as “Town Squares,” the news raised concern within the placemaking community. The decision brings up the age-old question: What constitutes public space, and who creates it? While a retail store on its own will never be a true public space, it can certainly function as a “third space” and be an important part of a public space: Local stores can, and should, be integrated into public squares. A good mix of retail, dining, and places to play or sit give a space the wide variety of activities needed to attract people to a given area. 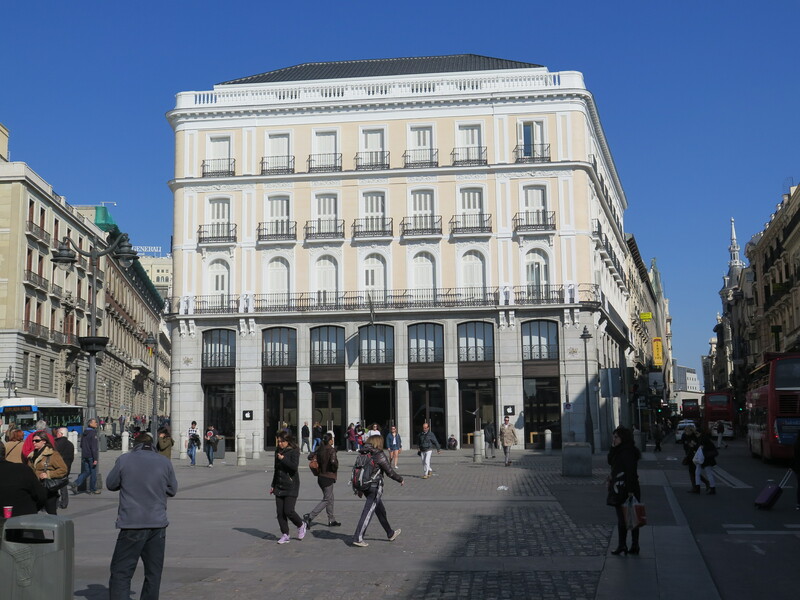 Public spaces like Puerta del Sol in Madrid, home to an Apple store, become local icons for this reason; retail establishments and restaurateurs share the space with recreational activities and public art every day. Multi-use destinations are key for attracting a diverse array of people to a place. 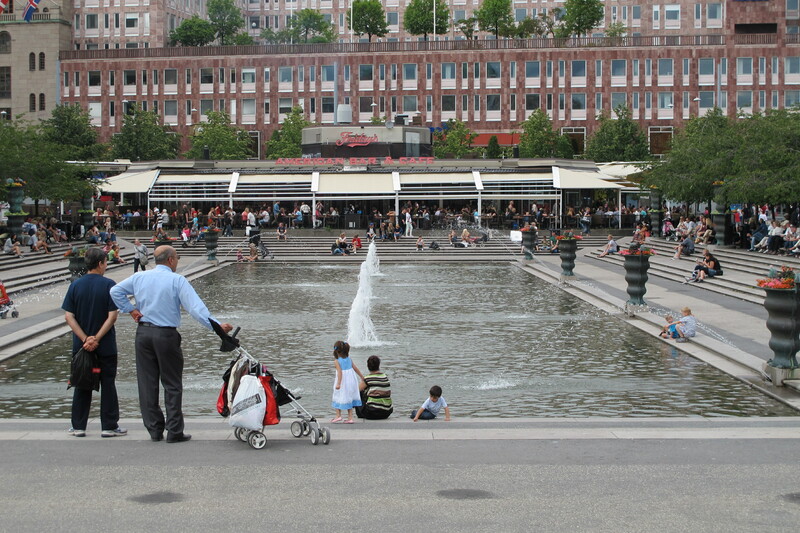 A square should be a hub of activities that range from shopping to eating to lingering and people watching. Grand Central Station in New York is a successful multi-use destination. Under the iconic green, starry ceiling, people race to catch trains, grab a bite to eat, take photos, or watch passers-by. It is in this context that Apple is part of a multi-use space. Rather than being the center of the station, the Apple store adds tech to the long list of activities that keep the station abuzz at all hours of the day. Here, Apple has integrated itself into the fabric of a space, rather than claiming ownership of it. Rather than becoming a square, the Grand Central Station Apple store provides some of the activities that make the space exciting to visit. The Carnegie Library in Washington, D.C.’s Mount Vernon Square is also emerging as a potential new Apple storefront. Not without controversy, this decision has sparked a dialogue between supporters of the new store, and those who worry that it will take away from the historic value of the building. But, the chronically underused library may see benefits from bringing Apple into the space. Mostly used as an events venue, the Carnegie Library is in need of more consistent activity -- a place to check out Apple’s latest gadgets might be just the trick for attracting locals, and a solid first step in creating a multi-use space. Apple is also eyeing Stockholm’s Kungsträdgården as a site for one of its “Town Halls.” The history of the park as a great place is one that PPS knows well. Filled with outdoor cafes, art galleries, and blossoming cherry trees, Kungsträdgården is one of the best-known gathering places in an iconic waterfront city. Apple is making plans to move into the garden’s open-air building, currently a dining area prime for people watching. 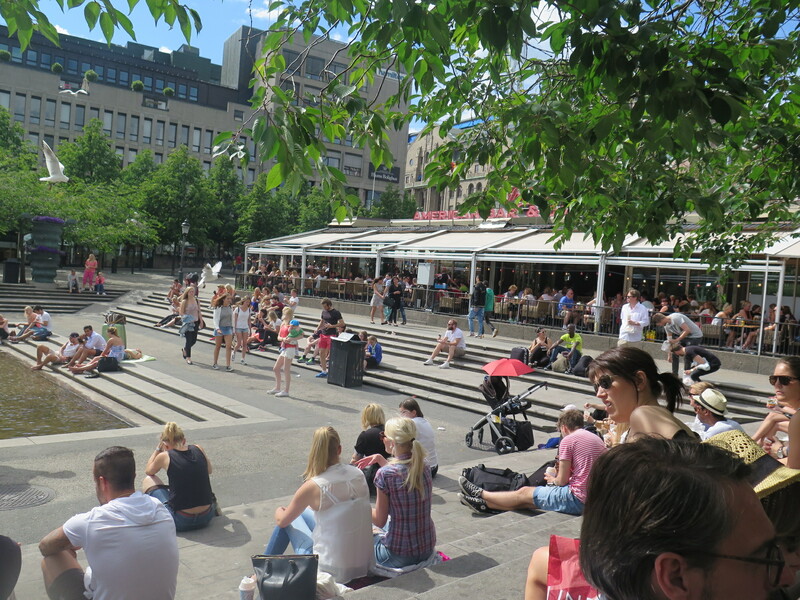 Unlike the story of Grand Central Station, adding an Apple store to Kungsträdgården would stifle the social activities that already make the square a success. Apple’s presence would almost certainly close off the building that now embraces the park. Once Apple products line the walls of this central building in Kungsträdgården, it runs the risk of dominating the area. Instead of a monolithic Apple store, the focus should be on adding new activity to the edges of the square, perhaps with markets and kiosks that make the space even more inviting from the street. Perhaps this conversation around Apple and the nature and definition of true “public space” can be an opportunity for this icon of tech innovation to become a partner in placemaking. 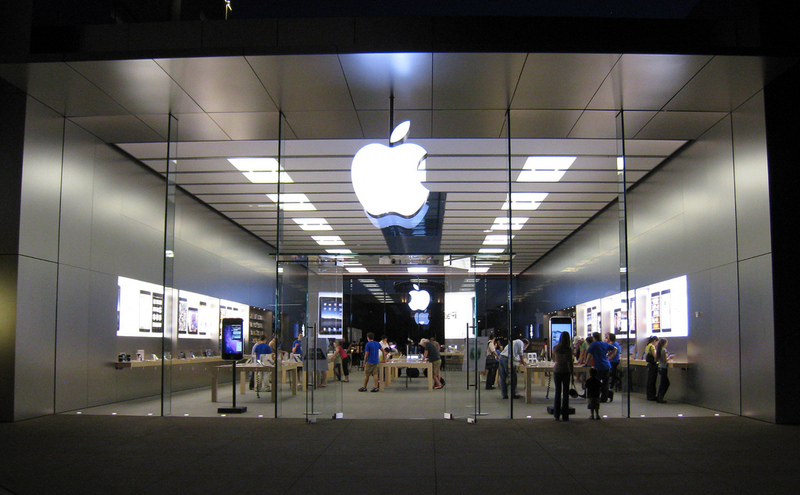 Rather than seeking to manufacture a place, Apple should try to become a part of one. After all, Apple, too, benefits from good public spaces.